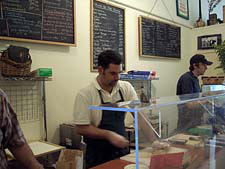 Salumi is my favorite sandwich shop in Seattle, though in truth it takes its inspiration from Italian Salumerias. The cured meats there are incomparable, and the hot and cold sandwiches showcase the Salumi (Italian cured meat) beautifully. When I worked down in the International District it was my favorite lunchtime indulgence, an affordable one at that (sandwiches from $5 to $9). The pedigree of the ownership is unquestionable. Owner Armandino Batali is the father of celeb chef and restaranteur Mario Batali. That family knows good food. One of my great regrets in leaving Seattle will be never having attended one of Salumi's once-a-month invite-only dinners. The only downside to Salumi? The limited hours. 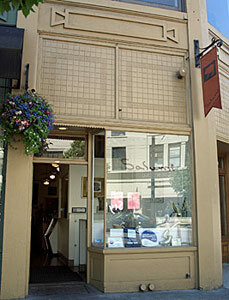 The shop is only open Tues-Fri from 11am to 4pm. 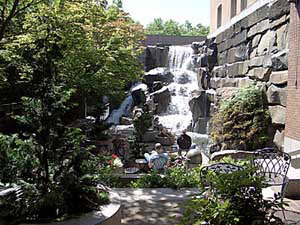 But once in a while, it's worth the drive over to Salumi in Pioneer Square pick up a sandwich to eat at the nearby Waterfall Garden Park.